Rogue F.A.T. 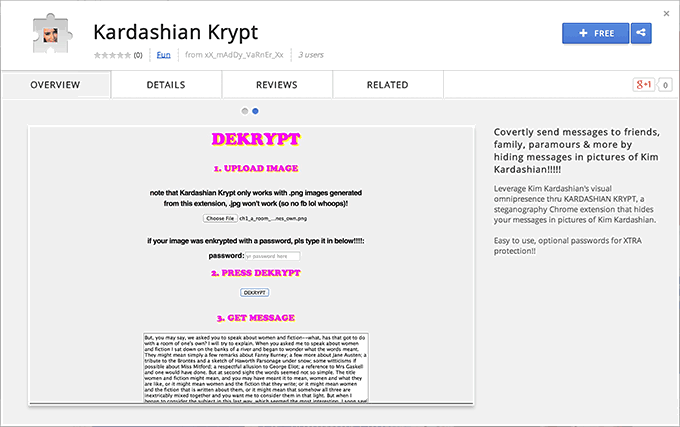 Lab intern, Maddy Varner, brings you KARDASHIAN KRYPT, a BRAND NEW steganographic Chrome extension that covertly encodes and decodes your messages into images of Kim Kardashian. PERFECT FOR YOUR TWITTERS, YOUR EMAILS, YOUR TUMBLRS, ETC!!!!! 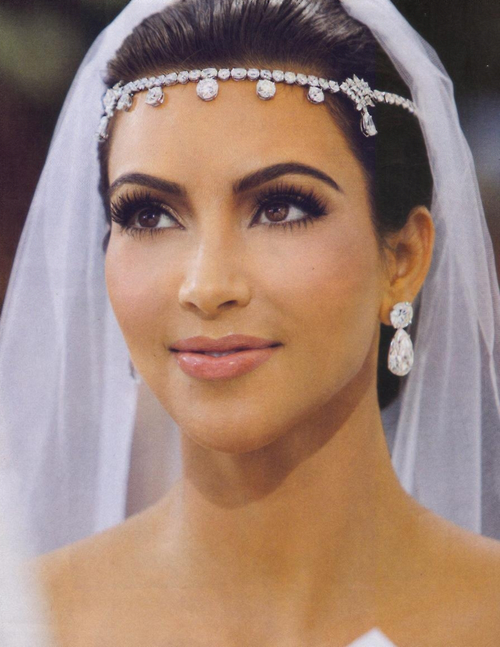 Kim Kardashian’s image is EVERYWHERE, from Instagram (#1 most followed woman), to your tv, to the cover of Vogue. She’s releasing a book of her selfies in 2015! Leverage her visual omnipresence by hiding secret messages to your friends, family, enemies, frenemies, and other BFFs inside pictures of Kim.